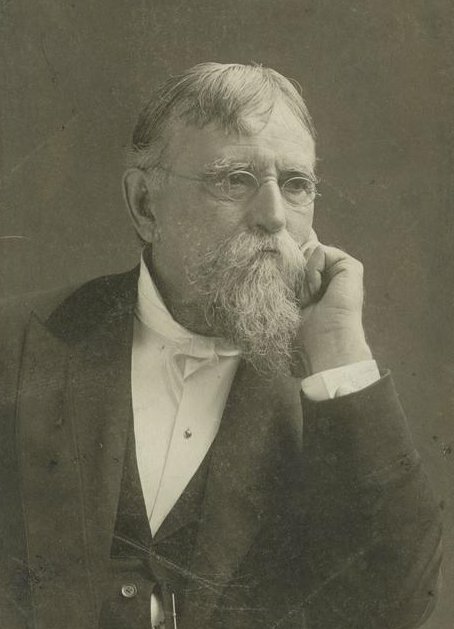 Though he was a Union general during the Civil War, a territorial governor of New Mexico, and ambassador to the Ottoman Empire, today Lew Wallace is best known as the author of Ben-Hur: A Tale of the Christ (1880), the second highest-selling American novel in the 19th century. He died in Crawfordsville, Indiana on February 15, 1905. Wallace's last literary work was his own autobiography, published posthumously in 1906. In it, he explained the origins of his famous book. It is possible to fix the hour and place of the first thought of a book precisely enough; that was a night in 1876. I had been listening to discussion which involved such elemental points as God, heaven, life hereafter, Jesus Christ, and His divinity. Trudging on in the dark, alone except as one's thoughts may be company good or bad, a sense of the importance of the theme struck me for the first time with a force both singular and persistent. Wallace wrote that he felt "painfully" for not knowing enough about Christ. "I was ashamed of myself," he wrote, and resolved to study, though the idea of delving into theology caused him to shudder. He considered the field "an indefinitely deep pit filled with the bones of unprofitable speculations." The book proved popular enough that it was adapted for the stage almost immediately. The most famous adaptation, however, was a few decades later: a film version starring Charlton Heston. In 1910, a statue of Wallace, depicting him in his Civil War years, was installed at the Capitol building in Indiana. Several schools and roads are named after him, especially in New Mexico. His study, a building he built near the end of his life, is now open to the public as a museum.